The passionate kiss and beautiful setting in this photo are great, but it's the expression on the face of the couple's boxer, who looked back at the camera at just the right moment, that makes the photo terrific. This wedding ceremony took place at the Weyerhaeuser Estate, a beautiful historic mansion in a quiet neighborhood in North Tacoma. 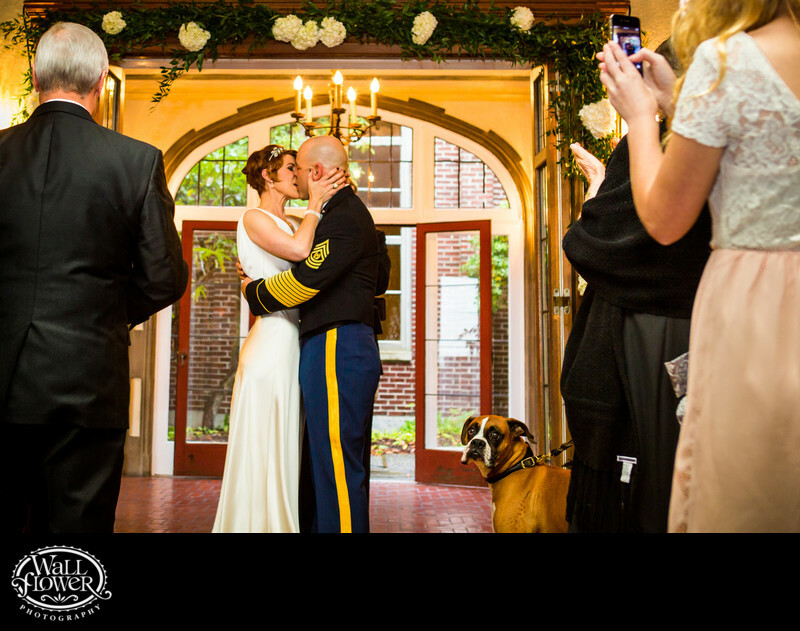 The couple are dog lovers, with the bride owning a dog-walking business, South Sound Hounds, and the likeness of a boxer was used in their table assignment cards — look in the Details photo gallery on this website for a look.